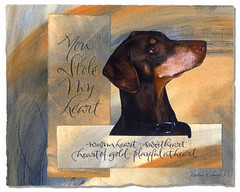 Today my custom postage was featured in a post at Felt & Wire, Mohawk Paper’s blog, and penned (or, perhaps keyboarded) by writer extrordinaire, Alyson Kuhn, from whom I have reverently borrowed the title of this post. Take a look now, but be sure to also bookmark Felt & Wire, to make sure you can go back often to peruse the excellent content. My appreciation extends to Alyson for today’s post, as well as the post she, a.k.a. AOK, wrote on Tuesday, Monograms à la modern, in which she discussed my monogram designs that I offer through the Felt & Wire Shop. 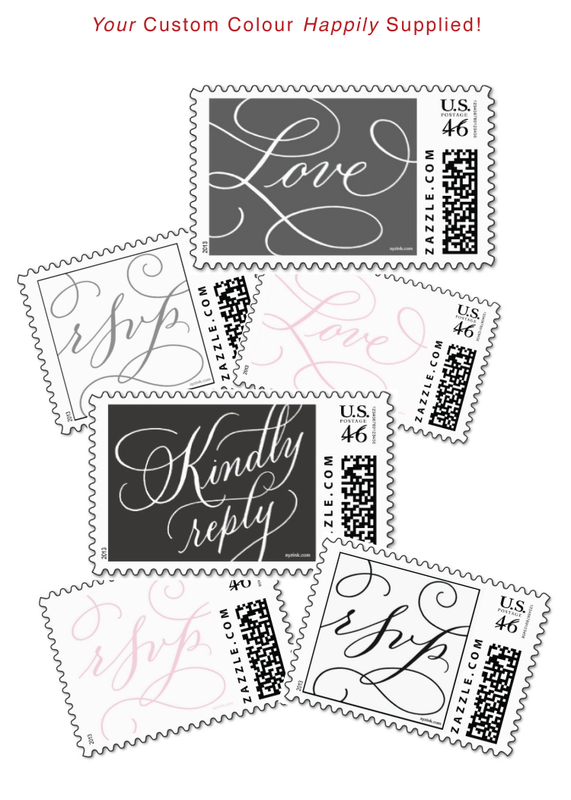 Those of you who have been reading my blog may already know that I have calligraphic Love postage stamps available for purchase in my Zazzle shop. 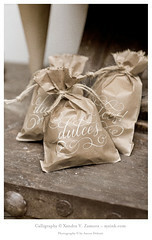 And now, thanks to a lovely bride named Kendra, available in the shop as of this week, is an all-new Rsvp stamp, designed in calligraphy to coordinate nicely with the popular Love stamp. 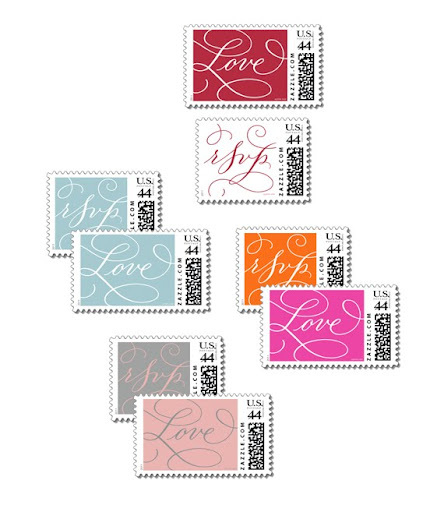 Both the Love and Rsvp stamps are offered in a range of colours, but should you not readily see your scheme, they are customizable to those of your choice!